1. 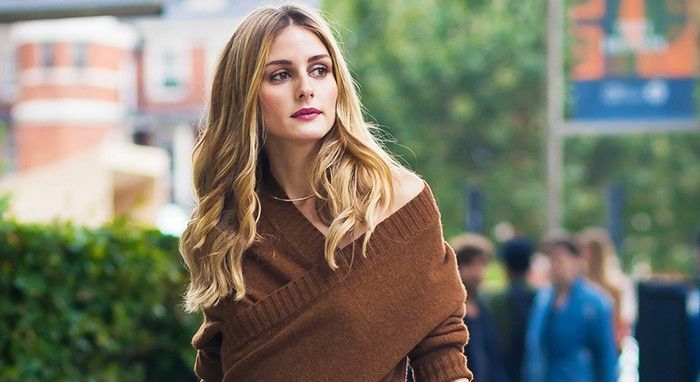 And so, the Olivia Palermo and Zara love-in continues: Not only did she wear three choice Zara buys in a row to London Fashion Week, but we even snapped her ourselves in this particular shirt—which is still available! 2. Miss P wasn't the only one shaking up the fashion game during the show schedule: We spotted 43 incredible street style looks in London and the most OTT ensembles in Milan—you just have to look and wait for your jaw to drop. 3. Oh, and then there's the fact that The Sartorialist called out this one styling trick as the thing cool girls are doing with their wardrobes right now. 4. Back to our high-street obsession… This week Beyoncé launched her second Ivy Park range. Our columnist, the Victoria's Secret model Leomie Anderson, took it out for a spin, and this was her opinion. 6. We may be all kinds of obsessed with Korean fashion right now, but their beauty secrets have always been ahead of the curve. Check out the seven Korean beauty secrets every girl should know. 7. Finally, in case you've been wondering how A-listers are moving into autumn, checking out this radical sweater trend is a very good start. Shop these amazing deliveries from the week to start getting the new season into full swing—and don't forget to check out this incredible new-season mini-movie from Ted Baker, directed by Guy Ritchie.